Just for you . . . or for a lucky loved one! Joan's shining nod to monogram glam lets you wear (or gift!) the initial of your choice. 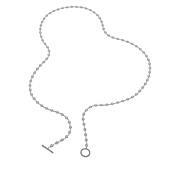 Purchase your initial or a special someone's inital. 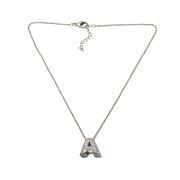 Even nab several necklace and spell out fun words or acronyms. 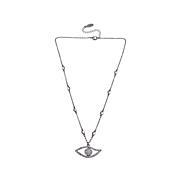 I purchases this necklace for my mother. She has received so many compliments on it. Shes not one for jewelry that is too shiny or flashy and this one is perfect. The size is noticeable but not obnoxious. Really nice quality and color. The accents on the chain are just right, not too much. I definitely recommend getting this. I love it. 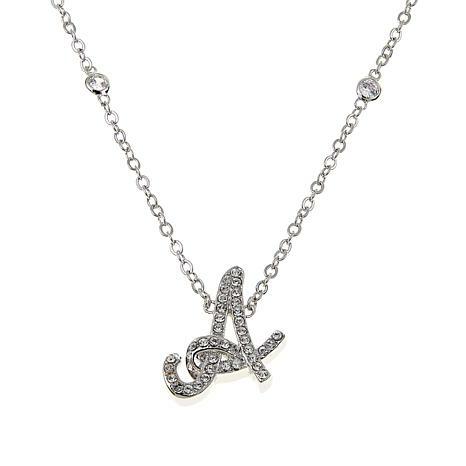 The chain is very pretty and shiny as well as the initial. I would recommend this to everyone. A beautiful piece. TV doesn't do it justice. No one would ever guess it isn't real diamonds. 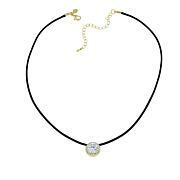 Really pretty necklace very similar to a real version-I bought both the necklace and bracelet and just went online to buy 2 more bracelets... for my additional initials...both are great gift ideas!